Why Your Mac Needs an Antimalware Like This? Mac machines have a complex structure, which makes them securer when compared with other machines. But this doesn’t mean that no threat can infiltrate Mac machines. Internet is a breeding place for all threats and no system can escape from them. Even Mac machines fall prey for these threats. In such a scenario, an antivirus program proves to be a boon as it can provide an additional layer of security. That’s where Systweak Anti-Malware plays a crucial role in safeguarding your Mac by providing a shield to protect data stored on it. Systweak Anti-Malware app is a quick and simple solution to safeguard your Mac from all types of threats. Although Mac’s inbuilt security system provides an additional layer of security but with Systweak Anti-Malware in line it will be multi-layer security. The program offers two types of scanning: Quick and Deep. Quick scan is fast and effective. It scans for all the important files and root directories in few minutes giving accurate results. Deep Scan is a more thorough scan and is time consuming, but since it runs in background, it doesn’t slows Mac’s performance. It scans every directory and the corresponding files for infection. This makes it stand apart when compared to other similar products. It conducts thorough scanning and even displays location of the malicious file. In a single click user can perform either of the scans and identify all the threats residing in the Mac machine. The easiest way to use Systweak Anti-Malware is by hitting the “Scan Now” button. By default, it performs a quick scan, to change the scan type, click on “Scan” tab. For more in depth scanning Deep Scan is recommended. After the product is installed, an icon named Systweak Anti-Malware shows up. Double click on it to launch the application ,then run the scan of your choice. Once the scan is finished all threats are displayed in the product window. Upgrading to the full version of Systweak Anti-Malware helps to fix all the infections thus making the system infection free, resulting a clean mac with no infection sitting inside the system. Systweak Anti-Malware quickly scans the system, displays malicious files with their location, along with list of quarantine files. Clicking on the “Fix Now” button helps to delete the threats and boosts system speed. Sometimes a quick scan isn’t enough to get to the root of the problem. With Systweak Anti-Malware “Deep Scan” feature, you can get rid of all the malicious files. The program stores scanning log for user convenience and the “Quarantine” tab lists down all the deleted files. Not only this, it allows user to submit sample that they suspect to be suspicious but are not detected by the software. This all adds up to the user security and the thorough scanning doesn’t allow any infectious file to hide under any legitimate application. Quick Scan:Quickly scanning important files, applications, caches, logs, etc. Deep Scan:Thorough scanning of file and folders stored in root directory. Startup Tools:Scanning for the startup items that may slow down the system as they are infected. Systweak Anti-Malware is a useful tool to accurately detect the inappropriate files and deletes them. Note: This is a premium feature. All detected infections can be cleaned using paid version of the program. To clean them, click Fix Now button and you are all set to go. Once the infections are fixed they will be listed under “Quarantine” tab. A thorough and easy way of scanning startup items and identifying the malicious from the lot, it cleans the files from the root stopping infection from spreading. Thus, helping in boosting the startup time and getting rid of infectious file that may lead to system crash and affect other stored files. It is definitely useful for those who aren’t aware about the startup items and how to block them from launching at startup. Making the system infection free. 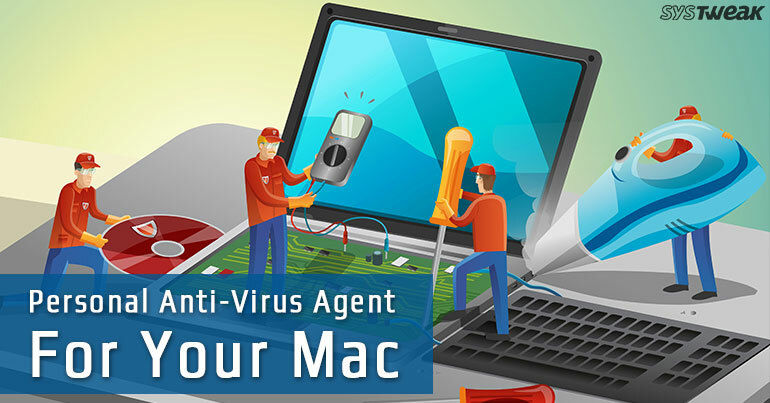 To protect Mac from threats, Systweak Anti-Malware offers quick and deep scanning, cleaning of threats, displays location of the malicious files and saves a log along with quarantine list. This is indeed a convenient way of getting infections file out of the system and adding up to the security of Mac. All said, Systweak Anti-Malware is the perfect tool for anyone who wants to keep their Mac infectious free and welcomes a helping hand. By clicking below button you can download trial version of the product and try it. Once satisfied you can upgrade to the full version of the product and fix errors.